National Trail Mix Day - The Best Trail Mix You Have Ever Had, We Promise. Everyone could use a bit of healthier eating in their lives. Well unfortunately for the most of us, the healthier food is usually the least attractive thing to eat. 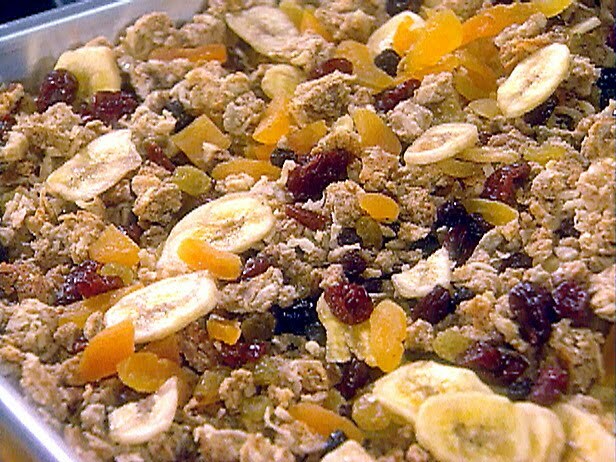 This recipe for Homemade Trail Mix includes deliciously healthy ingredients such as walnuts, pecans, raisins, apricots, cherries and more and is really simple to make. With it being able to sit at room temperature without spoiling for a week or two you can make this in batches and have it to snack on throughout your day to help avoid eating multiple handfuls of whatever junk-food your currently consuming. Growing up everyone surely remembers sipping on some hot chocolate loaded with mini marshmallows, snacking on a Rice Crispy treat or enjoying a classic S'more. Marshmallows to kids are like little bits of puffed up joy, designed specifically for them to get hyped up on and have hours of fun. But as we grow older and common sense kicks in, it is funny to find that as adults, not everyone is as big of a fan of those gooey Marshmallows as they used to be. Partly because now we see them as the flavorless bags of fluff they are and well they also really aren't all that healthy. So for the most part, Marshmallows have become an afterthought to what we could be enjoying for dessert. Well the great thing about us is that we never leave anything alone for long. After having some friends over and finding out their kids had never eaten S'mores, I decided it was time to whip up some classic Homemade Marshmallows. Dipping into our recipe stash and coming up with this adaptation of something we learned from a close friend in Culinary School we think these will be a surefire hit for anyone you pass them off too and of course as with everything else we show you how to make, no one will believe you made them at home. 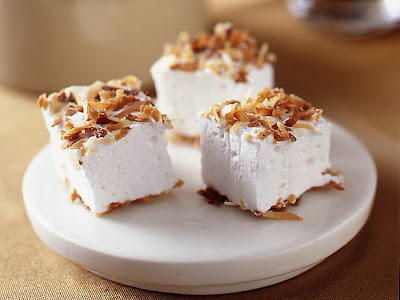 With a few simple ingredients and a bit of afore thought as to what kind of flavors your hoping to achieve, Homemade Marshmallows can be knocked it easily and quickly and just in time for todays National Food Holiday, Toasted Marshmallow Day. 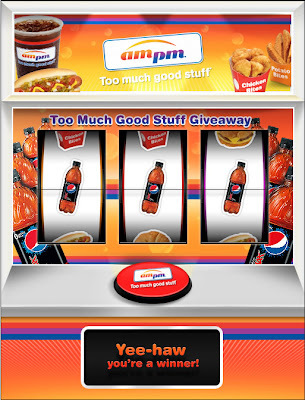 Be sure to stop by and Like ampm’s Facebook page for a free chance to enter their “Too Much Good Stuff Giveaway.” Included in this giveaway Apple iPod Nanos, Apple iPod Touches, Apple iPads, Apple MacBook Airs or the Grand Prize a fabulous trip to Las Vegas, Nevada. Once you go to the Facebook page, click on go to the app and take a chance at being one of many Instant Winners via the Virtual Slot Machine. 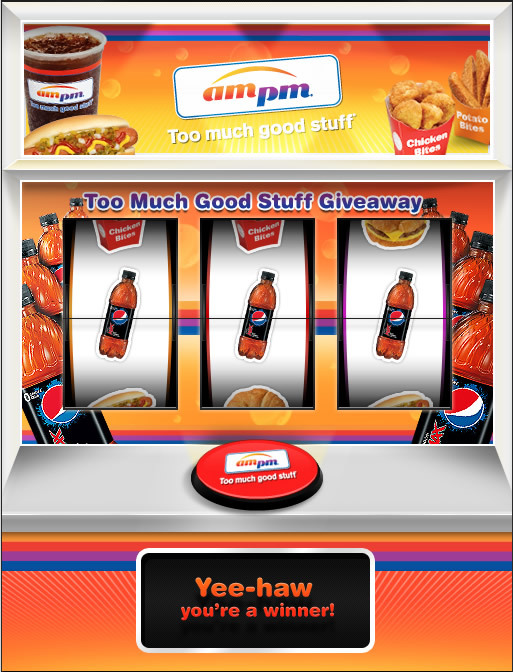 After completing registration on the ampm site (don’t worry they wont send you spam or sell your email info) you can then play the Instant Win Game by taking a pull on the old Virtual Slot Machine Arm. It’s simple, free and by taking a chance on the Virtual Slot Machine your automatically entered into the Periodic Sweepstakes and Grand Prize Drawing, a trip to Las Vegas Nevada. Also included in the giveaway are over 15,000 bottles of Pepsi Max, 10,000 Corn Dogs and much, much more. Regardless of what beverages you like, ampm has something to quench your thirst at their Thirst Oasis Bar featuring over 24 delicious fountain drinks. We guarantee whatever it is your looking for, from cold soft drinks and premium beers to snacks and fuel, ampm will have you covered. Club Culinaire Boutique Trade Show "Where Fine Food & Wine Meet"
Ok this one I couldn’t go without posting, this here is our Ultimate Popsicle Recipe, that puts fresh Cherries, creamy Vanilla Greek Yogurt and Milk Chocolate all together in one handy treat. With today still being National Cherry Popsicle Day and Otter Pops not really cutting it anymore we figured we would hit you off with one more recipe that can cool anyone down and put a smile on any face, even with a Hurricane pounding at your door. The great thing about this popsicle recipe is that it uses Greek Yogurt, so it is truly a healthy snack. A lot of people have been asking us for recipes to incorporate Fresh Fruit and Greek Yogurt, so we figured this is the perfect time to put the two together seeing as how it is going to be well over 100 degrees in many spots across the country. This recipe for Cherry Popsicles with a Chocolate Shell is nothing to fool around with. Be sure to stash one in the freezer for yourself, because they always go fast and someone always wants two. Today is National Cherry Popsicle Day. Summer is almost over, for those of you who have children and hate spending money on store-bought treats full of sugar and who knows what else, try making some Popsicles at home with this simple recipe. 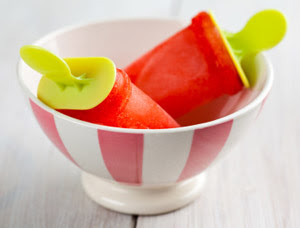 Made mostly of water and fruit, Popsicles have gotten a bad wrap over the years for being labeled as nothing but frozen sticks of sugar, leading to cases of rotten toothed kids everywhere. But let us face the facts, as a child you can eat as much sugar as you want, so long as you brush your teeth afterword, some kids just forget that fact and some parents don’t enforce it, so whose fault is it really? 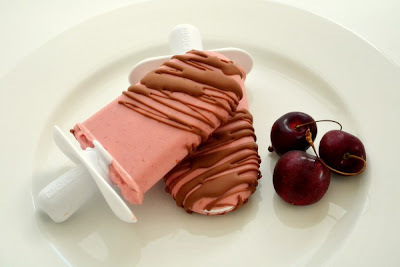 Back to what is important and that is, today’s National Cherry Popsicle Day, (but for all you Cherry Haters our there) the Cherries in this recipe can be substituted for any other fruit and it will work just fine. If only back in the day they had a homemade Otter Pops kit, I would’ve been in heaven. It is nearing the end of Summer, but it is still hotter than ever imagine and cooking a dish that requires a lot of time in a hot kitchen is just not the move. Well here is another dish you can add to your list of quick cooking and impressively flavored dishes that without a doubt is a success every time, Sauteed Shrimp with Cayenne Yogurt Dipping Sauce. 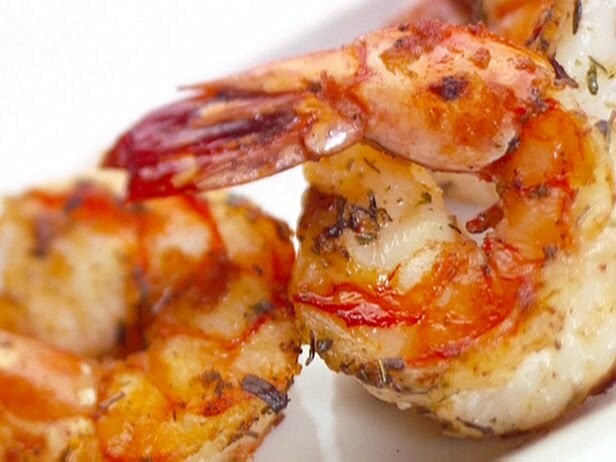 Quick, delicious and easy this dish is something that brings to life the fresh flavors of the ocean, spices them up and delivers them right to your plate in a mere few minutes. Now instead of making a plain old Peach Pie, we decided let us put you onto a great recipe that we came across while on vacation in Atlanta last year that infuses Peaches, Cobbler & the great libation known as Hennessy Black. 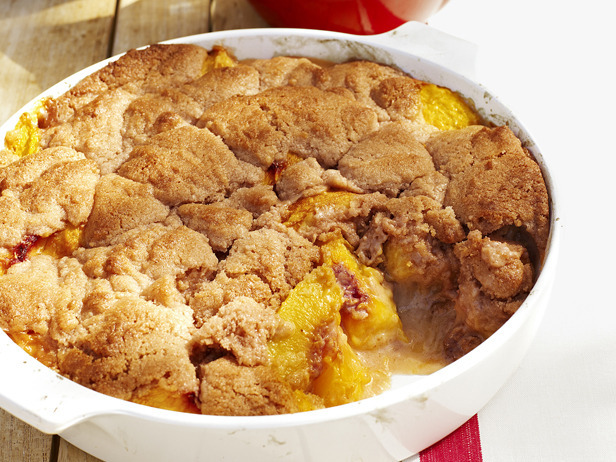 Peaches, liquor and cobbler go hand in hand simply because of how naturally sweet and juicy peaches are and how well they lend themselves to any form of warm sugary dough. Yeah I know your wiping your mouth as you read this. So lets us not waste any more of your time and let you get to reading this recipe. We noticed that using the Hennessy black instead of your typical Bourbon Whisky gives the treat an entirely new twist. Nothing more needs to be said other than the fact that this dish is great. How can it not be, it combines two of the greatest things on the face of this Earth, Hennessy & Peach Cobbler. Enjoy National Peach Pie Day with a big fat slice, plateful or what have you and a cold libation or glass of milk if you cant consume liquor with your desserts. Keeping a clean and sanitary kitchen is a must. The chances of coming down with a food born illness run much higher as the seasons change and peoples cleaning habits go from poor to worse. Let's face it expensive cleaning solutions become a last thought when people are faced with not being able to feed their families. 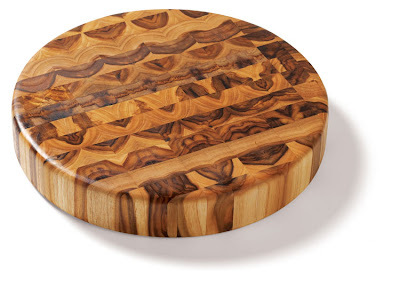 Last week, I had received an email from someone asking me how to properly clean and maintain their cutting boards, without using harmful chemicals or expensive solutions. With this quick & easy 4 step method to help keep your kitchen work station sanitary and smooth you should feel comfortable cutting anything at anytime on your cutting boards. This weekend at the Fountain Valley Sports Park in Orange County, CA The OC BBQ Bonanza was held allowing anyone and everyone a chance to enjoy some delicious BBQ and a wide array of side dishes, cold libations and much, much more. 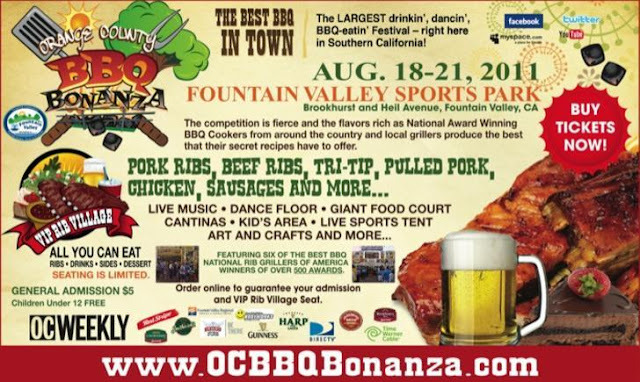 Starting Friday and going thru Sunday evening the event was a huge success, bringing in thousands of attendees from all over Southern California, all looking for a chance to cast their vote for the best BBQ of the weekend. Taking part in the fierce & smoke filled battle were competitors from across the country who brought their A game in full force. 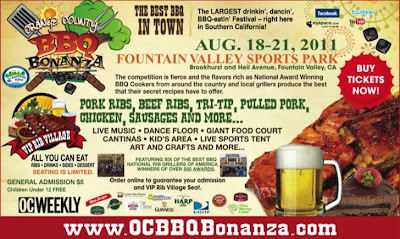 From mouth watering Baby Back Ribs, Baked Sweet Potatoes, Spicy Mac & Cheese to Gourmet Sausages, Tri-Tip, Pulled Pork and Roasted Corn, the event had more delicious BBQ on hand than I have found at any other event in Southern California for quite a long time. Guests were also able to purchase tickets giving them access to the VIP Rib Village where an all you can eat buffet was set up inside a huge tent adjacent to the stage. Inside the tent guests could choose from baby backs, St. Louis style ribs, beef ribs, great sides like corn salsas, potato salads, cold beers, wines and great desserts until their hearts and stomachs were content. With tables scattered all over the VIP area there seemed to be plenty of seating for everyone and what was nice to see were the guests that didn’t take up an entire table, welcoming strangers to come join them at their tables so people didn’t have to stand and eat. Good BBQ always brings people together in my opinion. The weather couldn’t have been more picture perfect, seeing as how it has been extremely hot over the last few weeks in California, it seemed that luckily the temperature never reached its normal scorching levels, giving just enough of a breeze for the kids to play while the adults snacked on good food and sipped on strong drinks. 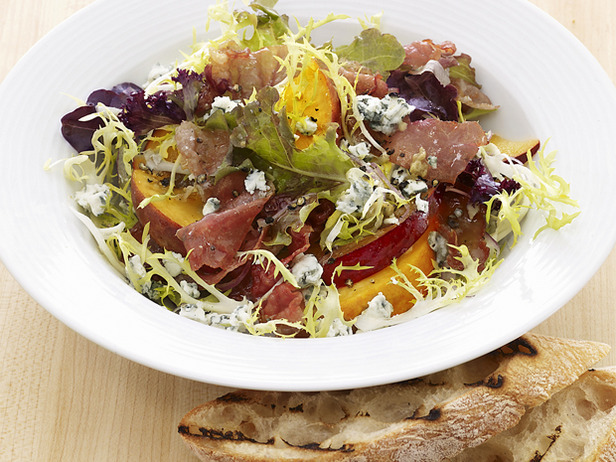 Today being National Eat A Peach Day, we wanted to put up a healthy recipe that was quick and easy. Now anybody can wash off a peach, cut it up, add some chilé salt to it and call it a day, but what fun is that? We have a salad that we put together on those warm nights where nothing sounds good, but still everyone is hungry. Now for those of you out their who do not choose to abstain from eating pork, you can omit the Proscuitto and put in some nice smoked peppered turkey, diced chicken breast that has been cooked and cooled or whatever your heart desires. Like with most recipes (baking not included) they are only meant as guidelines to getting the job done, you can make subtle changes and variations as you go to suite your liking. If your on a low / no carb diet, avoid the bread and this meal is a winner for everyone. 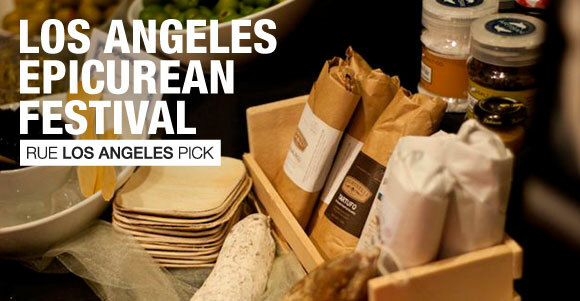 The Los Angeles Epicurean Festival brings together culinary specialties and extraordinary wines & spirits, under one roof in a casual setting. Attendees will be able to pair and compare, taste and take home their favorite selections. Live entertainment, mixology and food demonstrations will be offered; their oenologists will explain how to taste and recognize great wines. Attend this amazing event and discover over 500 boutique wines and spirits, cheeses, spices, coffee & teas, charcuterie, olive oils, mushrooms, organic chocolate, meat, fowl, fish and produce and much more. 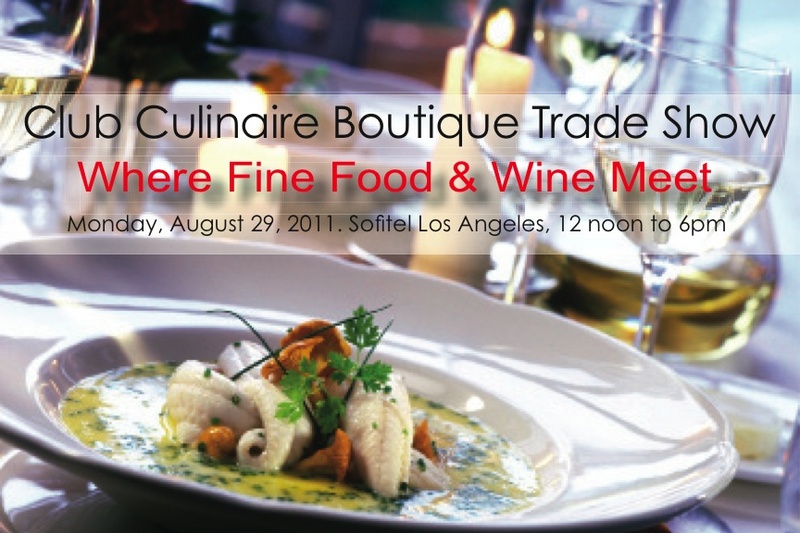 Taking place from Noon to 6pm on the 28th of August at the beautiful and always on point Sofitel Los Angeles located just blocks away from the Beverly Center, this event is sure to bring out the biggest names and best displays of skills LA has seen in quite a long time. For more information, pictures from previous events and who will be attending check out uber informative Los Angeles Epicurean Festival site and be sure to check back here after the event for more info, photos and a run down of what happened, just in case you missed out. 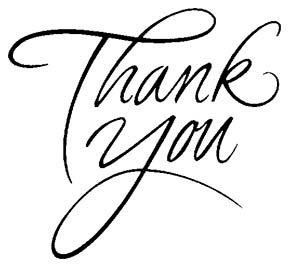 We do it all for you, thanks for taking the time to check our site and leave feedback. 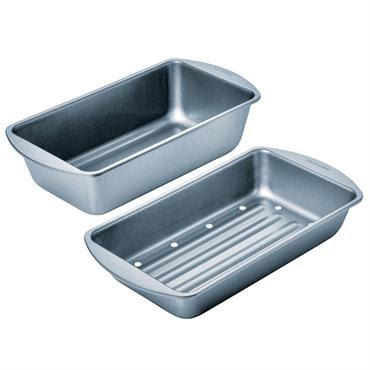 Chicago Metallics Betterbake Nonstick Low Fat Meatloaf Pan, Changing The Way Meatloaf Is Made Forever. Meatloaf. Just the word alone when dropped in a sentence can either make people smile or evoke painful memories of burned, bland lumps of tasteless ground meat, seasoned and filled with things only God could tell you what they are. Not everyone can make meatloaf that is a fact, but with the help of one small tool (and a good recipe) all of those years of overly dry or worse, soggy meatloaf can quickly be forgotten. The good people at Chicago Metallic have once again created a stress reducing, time saving product that is sure to elevate any home Chef’s abilities quite a few notches. Let us be honest with ourselves, it really is not that hard to make a great meatloaf. The problems really come from either over working the meat prior to putting into the pan or from cooking it in something that provides uneven heat disbursement as well as leaves no where for that nasty grease and oil to go once it is rendered from your meat of choice. With the purchase of the Betterbake Non-Stick Low-Fat Meatloaf Pan, any previous problems attempting to make a decent Meatloaf, will become distant memories. Its reliable Non-stick coating, will allow your loaf to be retain its shape should you chose to remove it from the pan before serving instead of sticking to the pan and breaking apart. The greatest part or parts about this Pan, are the perforated, elevated insert that allows the grease to drain away as the meat cooks, leaving the meat juicy, healthy and most importantly healthy. With a 10 year warranty and priced under $15.00 at retailers everywhere, this pan is a Gem and should be owned by anyone who fancies themselves as a Home Chef. 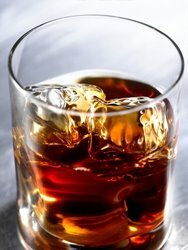 Rum, the great distilled alcoholic beverage made from sugarcane by products such as molasses and sugarcane juice, is one of the greatest distillated drinks known to mankind. With the majority of the world’s Rum production being done in and around the Caribbean, many notable brands and flavors are produced in various countries around the world creating some significantly deep and unique flavors found in a bottle. Countries such as the Dominican Republic, Puerto Rico, Brazil, Cuba, Jamaica, Trinidad and Tobago and the Philippines produce the most notable flavors found on the market today. A complex beverage that has both fueled many a wonderful evening and raging wars over its production and distribution, this drink earned itself its very own National Holiday. Ladies and Gentlemen please give a warm welcome to National Rum Day! 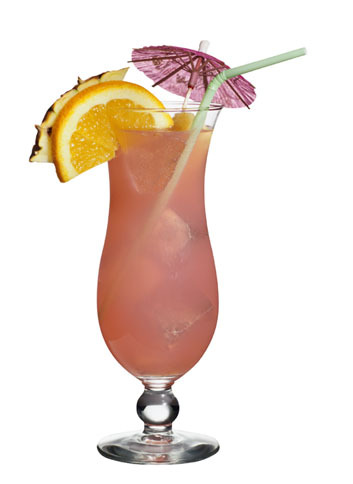 Celebrate National Rum Day - August 16! Whether served as Royal Navy grog or pirate bumbo, Rum's history is the stuff made of legends. Distilled from sugar cane by-products, there are Light Rums, White Rums, Golden Rums, Spiced Rums, and Añejo and Age-Dated Rums to enjoy. Here are a few recipes featuring Culinary Traditions™ purees and concentrates and Beverage Artistry™ fruit beverage blends. Rim the glass with Meyer Lemon and dip into the Li Hing Mui powder, set aside. Combine all ingredients into a glass filled with ice. Shake vigorously in a Boston Shaker for 10 seconds. Pour into a glass and serve. In a mixing glass, combine Bacardi, El Corazon, Falernum, fresh Ruby grapefruit juice, egg whites and fresh basil with ice. Shake with a Boston Shaker for 10 seconds. Strain over a glass filled with fresh ice. Serve. Combine all ingredients, except soda, into a pint glass with ice. Shake with a Boston Shaker for 6 seconds. Strain into a cocktail glass. Top with soda and stir briefly. Serve. Combine all ingredients into a tall glass filled with ice. Stir and garnish with a wedge of lime and sprig of mint. Serve. Combine all ingredients, mix well (shake or stir). Pour over crushed ice in hurricane glass. Best enjoyed through a small straw. Garnish with fruit wedge if desired. exercise caution when drinking and never ever DRINK AND DRIVE. Thanks to E-40 yours truly learned about this lovely concoction early in life. We here at The Supreme Plate, have a fondness for Rum. It is widely known by our friends, colleagues and so on that we are true lovers of libations, dishes and desserts that include Rum. So when we happened to find a new brand named Zacapa premium rum that had an interesting story behind its creation we knew we stumbled upon something worthy of mentioning here on the site. It all began in 1976 in Eastern Guatemala, where while celebrating their centenary, one of the World’s best rums was given birth too. A few miles West, in a terrain rich with volcanic soil and prolonged periods of sunlight, (which creates a landscape perfectly suited for growing Sugar Cane,) highly coveted Virgin Sugar Cane Honey is created. This precious honey is used as the base for Zacapa's perfectly aged Rums. Whether it be one of Zacapa’s Premium Rums or their Premium Dark Rums, you cannot go wrong having a bottle of premium dark rum or two on hand for your next function. Take our word for it, Zacapa premium rum will destroy any average well-rum found at your local watering hole. This brand is intent on proving they have a quality product that creates a feeling of instant vintage in a bottle. Reminiscent of robust cigars, fresh floral scents and aged wood, Zacapa Rums are sure to please even the most refined of palates. Seriously, if you don't find yourself moving through the house, office or where you may be with a little extra glide in your stride, you might want to consider a brain transplant. I have said it time and time again, Southern California has an abundance of fresh food available. So much so that I almost feel spoiled when it comes to taking a trip to the market to gather ingredients for the madness I try to create in the kitchen on a regular basis. As Summer prepares to make its exit over the next few weeks, hopefully some of the crops across America will stop taking such a beating from the heat and we can see the beautiful fruits and vegetables we are used to seeing. Perfect weather aside, the conditions found in California bring about some of the most wonderful ideas when it comes to creating menus and recipes. People out here are able to weave together intricate ideas that pull together ingredients found around the world. The reason it works so well in California is because people consider this state eclectic to begin with, so the thought of having a dish that puts Mexican, Japanese and French cuisines together isn't too uncommon. 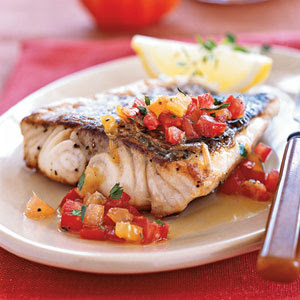 Today’s Recipe Of The Day uses a couple of summertime delights such as Fresh Bass and Tomatoes and will start off your weekend quite perfectly. Everyone already knows how lovely the Southern California weather is this time of year, it sure doesn't take long for phones and emails to start ringing about putting together a BBQ or a poolside function. We decided since this weekend the weather is supposed to be picture perfect, we'd take you outside for once and put to use that monster BBQ you have taking up space in your backyard. For those of you with no BBQ on site at the house have no fear, this recipe will work great in the house with a quality made grille pan for your stovetop. The Recipe Of The Day takes us back to the ocean and on over to North Africa for our side dish. 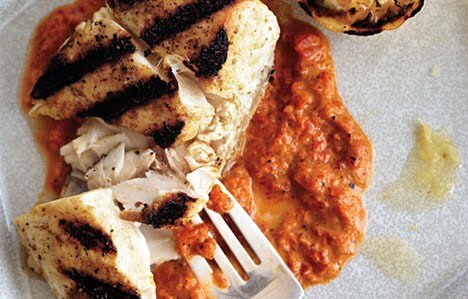 Grilled Halibut (or Red Snapper for those that can't find some quality halibut readily available) with Red Pepper Harissa is a healthy dish that fills you up, but does not weigh you down to the point of needing a nap after eating it. Harissa is a common dish in North Africa consisting of Piri Piri Chili Peppers, Paprika & Tomatoes and is basically served as an appetizer at almost every meal eaten. This version here is lightly spiced and will just melt in your mouth with the natural flavors of the grilled fish and olive oil. This is the perfect meal to have some with some Peach Mojitos, Cuba Libres, Pineapple & Appleton Rum Mixers or the traditional Vodka and Cranberry. For that have ever lived in or visited California it is apparently clear that there is a huge Hispanic / Latin presence and influence. With those influences come some of the most amazing dishes, desserts and drinks you could think of. Although today is National Rice Pudding Day, for some reason, I couldn’t force myself to put up just a Rice Pudding recipe. Instead we opted to give you a Latin influence and introduce you to the wonderful world of Horchata. 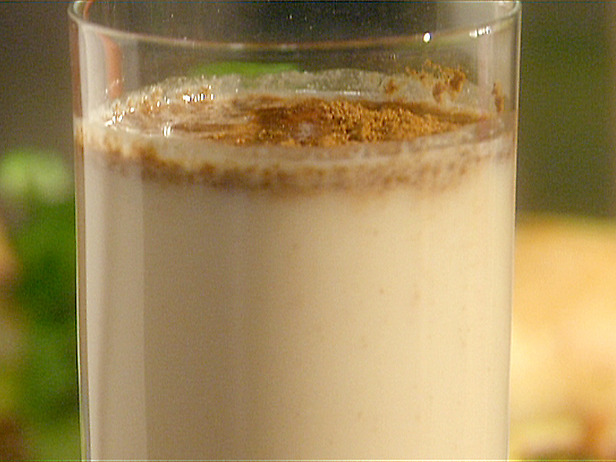 Horchata, is the name for several kinds of beverages made from ground almonds, sesame seeds, rice, barley or tigernuts. In the United States it is commonly found in Mexican restaurants and stores and usually is made of rice. One of our favorite kinds of drinks is called The Rice Rocket, and it is 2 parts Horchata, 1 part coconut flavored rum, a dash of Goldschlager served over ice. Its hot outside, I know it is regardless of where you live it is most likely hotter than you would like it to be at this very moment. With that said, today is national Root Beer Float Day, so lets give ourselves a treat that will cool us off as well as fuel us up for whatever may transpire this evening. 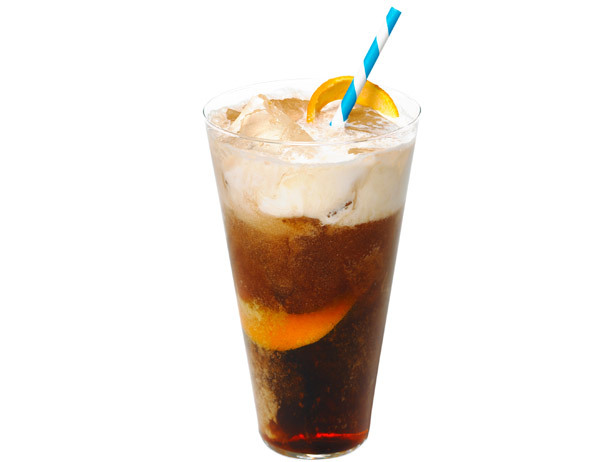 A cold Root Beer Float goes a long way when prepared correctly, especially when you add a little Grand Marnier & a slice of Orange to spruce it up ever so discretely. Enjoy this while relaxing poolside or after a big fat BBQ lunch / dinner feast, it will make everything sit just perfectly in the stomach. Fill the glass halfway with ice. Add the root beer. 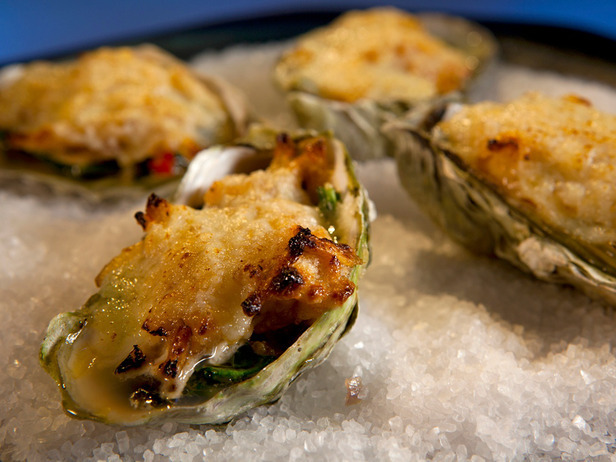 Today being National Oyster Day we wanted to deliver a simple and delicious recipe that wont have you standing over the stove or a BBQ all day. I know many people out there are scared of oysters because they don’t know how to open them, prepare them or eat them. But have no fear, if I can be taught to do it and you have a bit of patience you can do it to. Patience and a few key ingredients found in most kitchens will have you quickly impressing everyone with these supposedly libido enhancing bad boys. Let us throw a few facts out there, first off Oysters should never smell fishy, should never be purchased if they are cracked or chipped to the point you can see inside them and should never be eaten if they have been left out in the sun or a warm room. For best results buy your Oysters the night before or the day of needing them, wash them in cool water and keep them on ice in the fridge until they are ready to be used. This recipe pulls together pretty quickly and packs more flavor into a single bite than any Fish Filet could ever do for you. It’s Friday, so live a little and try something different this evening. I promise you, if you take your time with this dish right here, everyone’s creative juices flowing and your going to be the hit of evening. 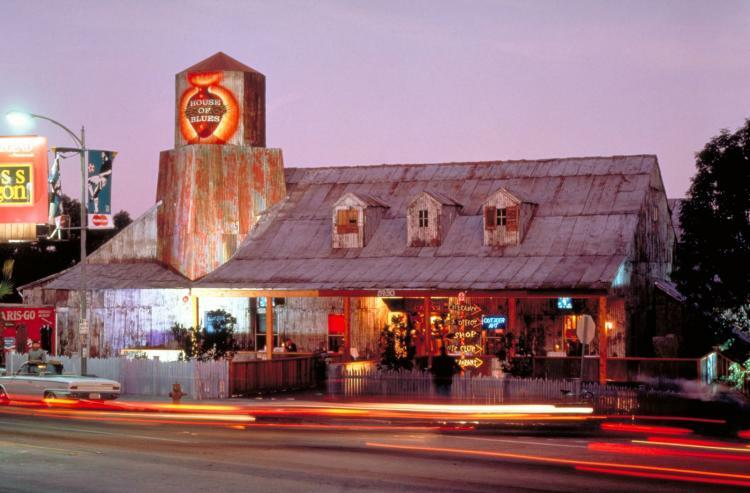 The House of Blues on the Sunset Strip is synonymous with Hollywood and all the wildness that ensues within its 25 square mile radius. On any given night, World Famous musicians, celebrity Tattoo Artists as well as the Hollywood socialites, can be found whipping those who care into a frenzy, faster than they can bat their fake eyelashes. 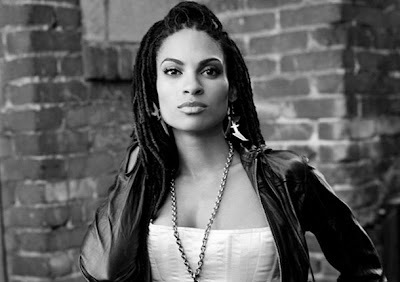 But what isn’t fake and never has been, is the House of Blues commitment to staying true to their roots, which means allowing artists of any medium a platform to flex their talents. The Crossroads at The House of Blues is a multicultural melting pot of splendidly woven flavors, created by one of the most talented stars to emerge over the last 5 years, Chef Aarón Sanchez. The Supreme Plate was on hand recently as the House of Blues had a taste testing to showcase a few of the new menu items. A few hundred lucky guests were treated to some amazing food, expertly mixed libations and a live performance from the super group / collaborative, known as Ozomotli. Speaking frankly, The House of Blues needed a facelift in the menu department and without a doubt Chef Sanchez gave them a stellar dose of Botox with his intricately detailed cuisine, which is sure to please even the most pickiest of palates. Offering up everything from delicious Hand Stretched Grilled Flatbread covered in fresh Oaxaca and Cotija cheeses, Pulled Pork Sliders, Seared Tuna Tostadas, Shrimp & Grits and everything in between the House of Blues truly pulled out all the stops for this evening. Notable dishes included the scrumptious Prime Rib Dip, which pairs Roasted Prime Rib au jus, a creamy horseradish sauce, Gruyere cheese and caramelized onions on a par baked French roll. Talk about delicious, this isn’t your average sandwich by any means. My favorite dish by far was the Shrimp & Grits, which has pan seared Jumbo Shrimp in a Chipotle Garlic Cream Sauce over Crispy Fried Grit Cakes & Sweet Yellow Tomatoes. A few drinks, especially the Hurricanes and a plate of Shrimp & Grits is the perfect way to start off or end an evening as the restaurant is open for dinner 7 nights a week. Whatever you do, take our word for it and stop by to get some drinks, eat a few handfuls of their delicious Corn Bread & Jalapeno Muffins (that are so good, a fight might break out over who gets the last one) and enjoy the ambience of one of Hollywood’s most popular hangouts, before its long gone.